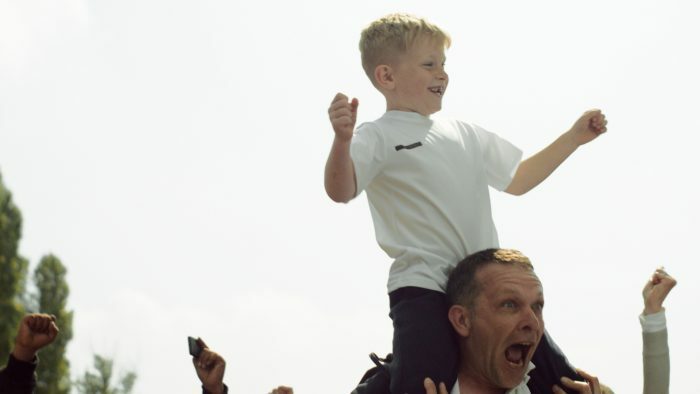 What’s the best way to get behind the England football team at this summer’s World Cup? A good, old fashioned header-a-thon-sing-a-long. 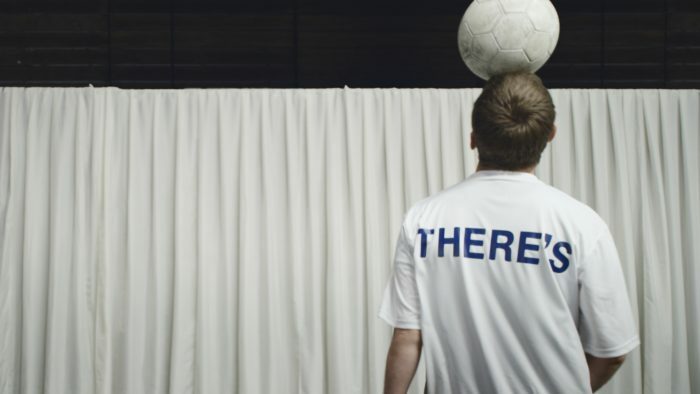 In the latest spot for The Sun from Grey, Ed Morris from Rattling Stick directs 74 skilled footballers as they attempt to head a ball all the way down a line as the song “I’ll Never Find Another You” is sung. 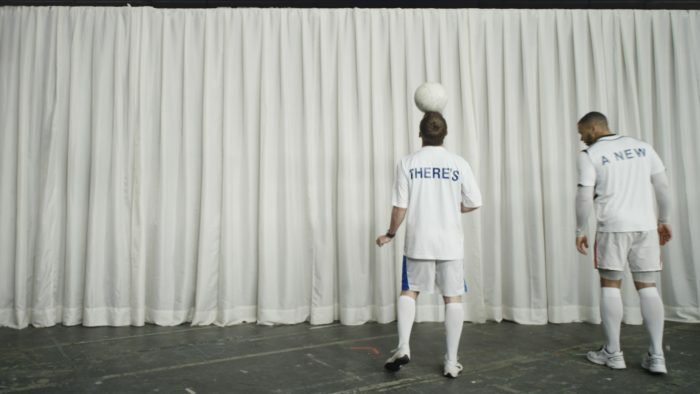 The ball needed to be headed in time to the words that are on the backs of the footballer’s shirts, recreating the classic dot over the words of a sing-a-long. Finally, the ball reaches a little lad on his dad’s shoulders, and much celebration ensues, with a dog claiming the prize of the football. A 90, 60 and 30 second were finished, airing in the run up to the finals. Like the track from the ad? Get on over to www.thesun.co.uk/dousproud and you can download it in a click.